Nowadays, people rely on phones and tablets increasingly, they regards these devices as an important part of life. Most people choose iPhone reminders as a convenient way to arrange their daily life. But how to retrieve and restore these reminders when iOS devices are inaccessible such as lost the iPhone, broken the iPad, etc? The only solution is that just need three things: iFonebox, (a professional iOS Reminders recovery tool, which also support torecover lost reminders directly from iOS devices); iTunes, Backup files; and a computer. 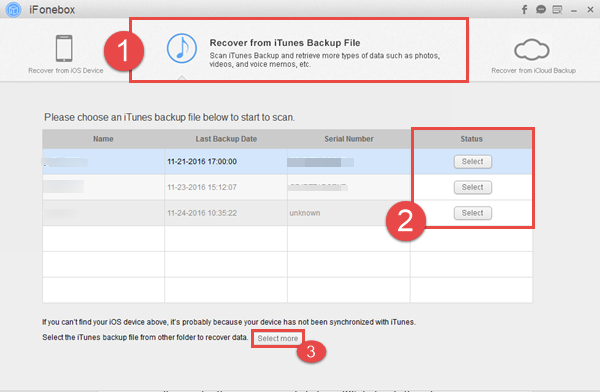 With these things, you could preview and restore reminders from iTunes Backup even without iOS devices. Free download iFonebox to have a try. We will take the Mac version as an example. If you are a Windows user, just download the right version and the steps are similar. Just install iFonebox on Mac, launch the program and you will see the interface as follows, choose “Recover from iTunes Backup” as the recovery mode. 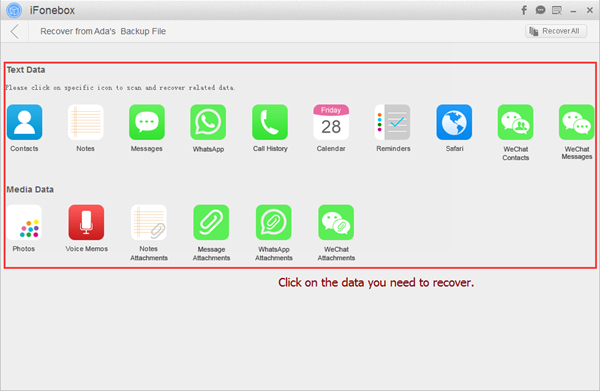 Then this reminders recovery program will ask you to choose the iTunes Backup file. You could double click the files or choose the iTunes Backup file then click the “Select” button to choose the iTunes Backup file you need. Then click the “Start Scan” button to start scanning. When the scan finishes, all of the data on your iTunes Backup will be showed in categories on the interface. Click the “Reminders” and you could preview all the reminders. If you want to store them on your Mac, just click “Recover” button on the top left of the interface and choose the folder you prefer.